Because of your active lifestyle, you can’t always be close to a water tap, a coffee pot or other dispenser of liquids. As such, when you head out, you need a container to take fluids with you. As you probably know, there are thousands of water bottles on the market today. Not every product, though, is appropriate for carrying all types of liquids. Even worse, some bottles simply aren’t a good investment. How do you know the difference between an excellent bottle and an inferior one? We are here to help. In this review, we look at one of the most popular water bottles available for purchase, the Mira water bottle. 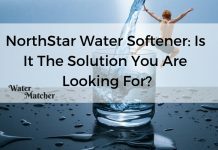 Read on to learn everything you need to know about this portable water container. What Is a Mira Water Bottle? Whether you are hiking, biking, running errands or working at your desk, you want to stay hydrated. While relying on single-use plastic water bottles is effective, it isn’t friendly to the environment. Buying bottled water can also wreak havoc on your budget. Mira has the solution. The company makes BPA-free, stainless-steel and insulated bottles to help you carry your favorite drinks with you. Mira water bottles come in three distinctive styles, Cascade, Alpine and Sierra. Each bottle is made from high-quality, food-grade stainless steel. In this review, we focus on the Cascade bottle to avoid confusing you. 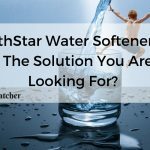 Nonetheless, the Alpine and Sierra share many features with the Cascade, so you can easily apply the information in this article to the other styles of Mira water bottles. Where there is a significant difference, we mention it. The Cascade is a durable water bottle. Even though it can withstand significant abuse, this Mira water bottle has a sleek look. The bottle is wider at the base, tapering to a smaller opening on the top. A stainless-steel topper screws onto the bottle. The bottle holds 12 ounces of either hot or cold liquid, making it ideal for on-the-go consumers. Mira sells a few different accessories to make their water bottles more functional. We discuss these in greater detail below. Holding 12 ounces of liquid, the Cascade water bottle is versatile. This Mira water bottle does not only allow you to carry water and other cold beverages. On the contrary, the stainless-steel bottle holds either hot or cold liquids. If you want to keep something cold, the Cascade gets the job done for 24 hours. Hot liquids stay hot for up to 12 hours. The size of this Mira water bottle is ideal. Unlike many other bottles that are too large to carry in a bag or briefcase, the Cascade is a convenient size. It also has an exterior finish that prevents the buildup of condensation. Therefore, you don’t have to worry about drenching other items inside your bag. If you want to carry the bottle independently, you must hold it in your hand. The bottle does not come with a finger loop or carabiner. You can, however, purchase carrying accessories independently. The Cascade water bottle does not have a pop-up dispenser. Instead, you access liquid in the container by removing the enclosed lid. This provides for a steady flow of your favorite beverage. Nonetheless, you must have at least one free hand to remove the lid. The opening is large enough to easily fill the bottle with fluids and ice. The tapered design, though, is sufficiently small to help avoid spills when dispensing liquids. The vacuum-locking technology in Mira water bottles keeps fluids in good shape until you are ready to consume them. You don’t have to worry about temperature loss, contamination or flavor infiltration. Additionally, the powder-coated finish on Mira water bottles resists rust and other damage. In fact, the Mira water bottle is virtually impossible to destroy. There are no dangerous BPAs in the Mira water bottle. Instead, users receive peace of mind by drinking from the food-grade stainless-steel container. When you are ready to clean your Mira water bottle, you benefit from its dishwasher-safe construction. Where the Mira water bottle really shines, though, is in its styling. Available in a variety of colors and designs, the bottle helps you show off your personality. Mira water bottles are moderately priced. 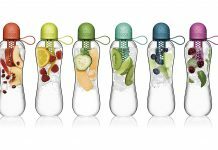 Depending on the size and color, Cascade and Alpine bottles usually sell for between $16 and $24. Sierra bottles usually retail for a bit more. If you want to purchase a Mira water bottle, you have a variety of options. The company sells bottles through its website. It also stocks bottles for sale at some brick-and-mortar retailers and outdoor outfitting shops. If you prefer to shop at a third-party online retailer, you can find Mira water bottles on Amazon, eBay and other sites. To make a smart purchase, you must know how Mira water bottles compare to others on the market. In this section, we look at three similar bottles. 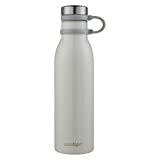 The Contigo 2045471 Couture Thermalock vacuum-insulated stainless-steel water bottle holds 20 ounces of liquid. Like Mira water bottles, the Contigo water container is available in many different colors and styles. This bottle features stainless-steel construction and holds both cold and hot liquids. Tapering from the bottom to the top, the Contigo bottle has similar styling to the Cascade bottle from Mira. The bottle’s large mouth is adequate for filling the container with water and ice. Unlike the Cascade water bottle, though, the Contigo bottle has a connector to attach the lid to the bottle’s body. This makes accidently losing the bottle’s lid much more difficult. 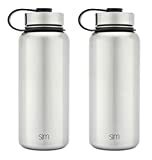 The construction of the Simple Modern Summit water bottle is essentially identical to the Mira water bottles. If you choose a Simple Modern bottle, you get an 18/8 stainless-steel, food-grade container that is easy to fill and empty. There are a variety of colors, styles and finishes available with Simple Summit water bottles. Water bottles from Simple Modern have vacuum-insulated interiors. Most also have a copper lining. This allows you to keep hot liquids hot and cold liquids cold. These bottles have screw-on lids that are not held in place with connectors. They do, however, include finger loops, making Simple Modern bottles easy to hold and transport. If being hip and owning brand names matter to you, you may appreciate the Hydro Flask vacuum-insulated stainless-steel water bottle. This bottle features a scratch-resistant coating. As such, you can expect the Hydro Flask bottle to look great and function well, despite significant punishment. The bottle features vacuum-insulated technology which keeps your liquids the perfect temperature. Use the Hydro Flask bottle for either hot or cold drinks. The large mouth allows you to quickly and easily fill the bottle with fluids. Unlike Mira water bottles, Hydro Flask bottles do not taper. They are BPA-free and dishwasher-safe, though. The best feature of a Mira water bottle is its design. Vacuum-insulated technology helps maintain the temperature of liquids. If you need to keep water or other beverages cool, you can expect the Mira water bottle to do so for 24 hours. While the bottle can’t keep hot liquids hot for quite that long, you can expect to enjoy a hot beverage for up to 12 hours after filling your Mira water bottle. Outside, Mira water bottles have food-grade stainless-steel construction. The exterior of these bottles is durable and strong. Variety is another major advantage of Mira water bottles. These bottles come in three distinct styles. Moreover, each style comes in a variety of colors and designs. When you are shopping for your new water bottle, you choose your favorite style. Choose one that matches your workout gear or accents your wardrobe. Either way, you will likely appreciate the available variety. While Mira water bottles are excellent bottles on their own, you can invest in some cool aftermarket accessories to get more out of your new bottle. Choose a lid connector, carrying case, insulating sleeve or extra lid. With many water bottles, there simply is no way to outfit them. That isn’t the case with Mira water bottles. With its many features, a Mira water bottle could be expensive. Generally, though, Mira water bottles are affordably priced. Keep in mind, though, that not all styles cost the same. Therefore, if you plan to purchase a Mira water bottle, check for updated pricing for the exact color or design you want. You can visit the company’s website or the retailer of your choice to see how much the Mira water bottle of your dreams costs. 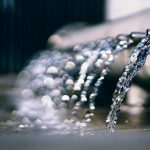 If you regularly drink tap water, you may object to its taste and smell. 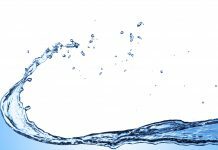 By choosing a water bottle with a filter, you can likely convert bad tap water into a refreshing, crisp drink. Mira doesn’t advertise its water bottles as offering a filter option. While we don’t expect a water bottle to do everything, we would like to see a filtering option. To drink from a Mira water bottle, you must remove its lid. When you are done, you must securely attach the lid to help prevent leaks. Because there is no connector, you may lose your Mira water bottle’s lid. If you lose the lid, you can order a replacement from Mira. To improve the bottle, the company could add a connector that prevents you from misplacing the lid. Note, however, the Sierra model has an included connector. If this feature is important to you, consider purchasing the Sierra bottle. When you are thirsty, you want to grab your water bottle and take a drink. You don’t want to worry about dropping the bottle. This is specifically important during dynamic hikes, bike rides and other physical activities. Unfortunately, Mira water bottles don’t have a rubberized grip. Instead, they have a uniform finish covering all parts of the bottle. While the powder-coated finish offers some grip, a rubberized section would make the Mira water bottle better. We called the availability of aftermarket accessories a pro. It is also a con. While you can invest in upgrades to improve your Mira water bottle, we think the company could easily include these at the time of purchase. Many water bottles are appropriate for either hot or cold liquids. It isn’t necessarily easy to find a water bottle that does a good job maintaining hot and cold temperatures. Mira water bottles, though, get the job done every time. Available in three different models, Mira water bottles are made from food-grade stainless steel. This design is BPA-free and dishwasher-safe. The tapered design of these bottles makes drinking easy. Even better, the large openings allow you to fill them with ice or liquids without spilling. A major downside of Mira water bottles is their lack of a connector. If you invest in one of these bottles, you must be careful not to misplace the lid. If you are concerned about losing the lid, choose the Sierra model which has a connector. Or, keep the company’s website in mind for ordering a replacement lid. Because Mira water bottles come in several colors and designs, we think you will have fun choosing the one that best fits your active lifestyle. We also think you will appreciate the ergonomic construction and overall feel of the bottles. Simply put, Mira water bottles are excellent and versatile containers. 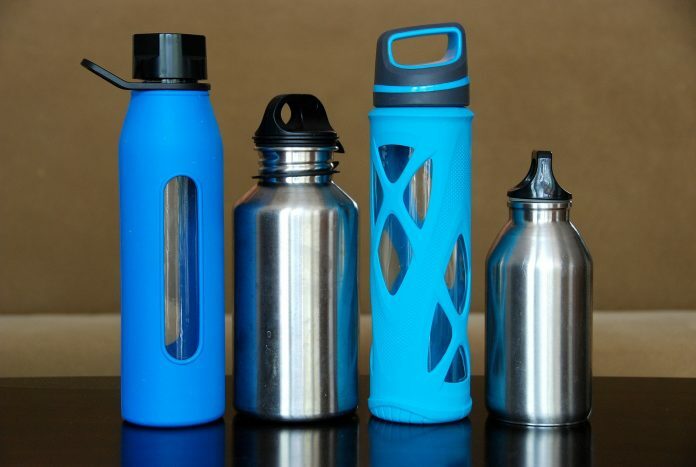 Many water bottles are appropriate for either hot or cold liquids because they get the job done every time. Although it has a major downside of Mira water bottles is their lack of a connector. The ergonomic construction and overall feel of the bottles.